I have a secret Dwarf fetish. Not particularly for the race themselves, after all I’ve never managed to level a Dwarf beyond level 5 but for their houses. I can’t but help imagining how warm and snug they would be, half hidden in the hillside. I love Loch Modan, if Blizzard announced player housing tomorrow I’d be off hunting for that perfect little house somewhere near the lake. You could spend your days fishing or swimming in the loch itself, then towel off and sit outside the Inn until the sun goes down. A lovely relaxing way in which to spend your time. Every day could be a holiday. For the first time ever I will be levelling a Dwarf. A female enhancement shaman with bright red hair and a temper to match. Raising the cooldown on spells like Wild Growth and Circle of Healing are good things for healers. It’s one of the few* things that will buy you GCDs to actually cast other spells. With a 6 sec cooldown, you really only get to cast maybe 3-5 other spells before you need to hit that magic button again. Am I alone in finding this insulting and patronising? I’ve healed on both druids and priests prior to the wild growth/coh cooldown addition and I used other spells. In fact I use whatever spell I believe to be the correct one in any situation. Healing, to me at least is about understanding the mechanics of any given fight and then reacting appropriately, whether that’s pre-hotting when you know damage is coming or getting a serendipity stack ready for a fast Prayer of Healing. It is not about using abilities when they come off cooldown because you will probably need them again in 10 seconds time. What about other healers? Will it still be acceptable for Shamans to get the bulk of their healing from chain heal and possibly healing rain, or can we expect to see a cooldown appear on chain heal because they aren’t using their new shiny Healing Wave enough? Is the plan really to force us to cast heals which might be second best in any given situation just because they don’t want bad players just using one heal. I suppose I find this even more unacceptable given the fact we are meant to be struggling for mana come Cataclysm. So our AoE heals get an increased cooldown and we’re meant to use less efficient clunkier spells in an environment where mana might be an issue? That sounds slightly counter productive to me. When you take away healing choices, you make the game less interesting and less interactive. I’ve played all five healing specs at one point or another and I’ve raided cutting edge content on all of them. For me, playing a Paladin and a Shaman with their smaller toolboxes was boring. The vast range of spells available to the Priest and Druid is what drew me to the classes in the first place and I really don’t want to be in the position of having 10 spells but you can only cast in them in a certain sequence because they all have cooldowns. I realise there will always be people who want to spam one spell over and over again all the way to epics and that those people shouldn’t be encouraged but there are other ways to make spells less attractive. Perhaps an arcane blast type debuff, where if you cast wildgrowth/circle of healing twice in a 8 second window, the mana cost increases exponentially. Maybe each time you cast it without using another spell inbetween your spirit decreases, 10 percent the first time, 20 the second and so on. So if you need to use those spells, you can but they come with a down side. Anything but an arbitrary cooldown please. Yes, Cataclysm isn’t even in beta yet but pre-emptive whining is always better than saying nothing (and far more fun). It might turn out just fine, after all we have no idea about how those spells will scale nor what raid encounters will look like. However I really dislike in principle the idea that healers should have rotations and/or cooldowns. On our first hardmode 25 man Anub’arak kill we lost half our healers at around 8 percent. The three remaining healers, myself included struggled on juggling global cooldowns in an attempt to keep our 2 tanks, ourselves and enough dpsers alive to kill him. Somehow we managed and to me, that’s what makes healing epic. The fact that we could given the freedom to pick and choose our spells, manage to keep enough people alive to win. We had choices and we made the right ones. Taking away that choice diminishes healing and makes the game less appealing. Having read this though, I’m really interested in how chakras will work out for Holy Priests. I’m sure I read somewhere a Blue saying that they were considering a cooldown for Prayer of Healing and it sounds like Circle of Healing is getting a bigger one, so exactly how are Holy meant to ramp up their AoE chakras? Obviously if they manage to get it working, there are some really potentially cool things they could do, for example once you are fully chakra-ed up for AoE healing, perhaps the cooldown and cost of those spells could come down a bit. Wonder if Holy Nova will be getting a cooldown by the time we make it out of beta. Anyone care to bet? The Ghostcrawler quote comes from this thread here. On and off, I’ve been stalking Mith’rethis the Enchanter for his beautiful robes. So far and no luck, but I have managed to grab a few screenshots whilst I lurked in vain. I used to loathe saving Sharpbeak with a passion but given that’s the view from his cage, maybe we’re doing him a disservice by rescuing him. I think in future I’m going to ignore that quest line and leave him here instead with his amazing views. The statues with the glowing eyes are a little creepy though, wonder if they eat gryphons? 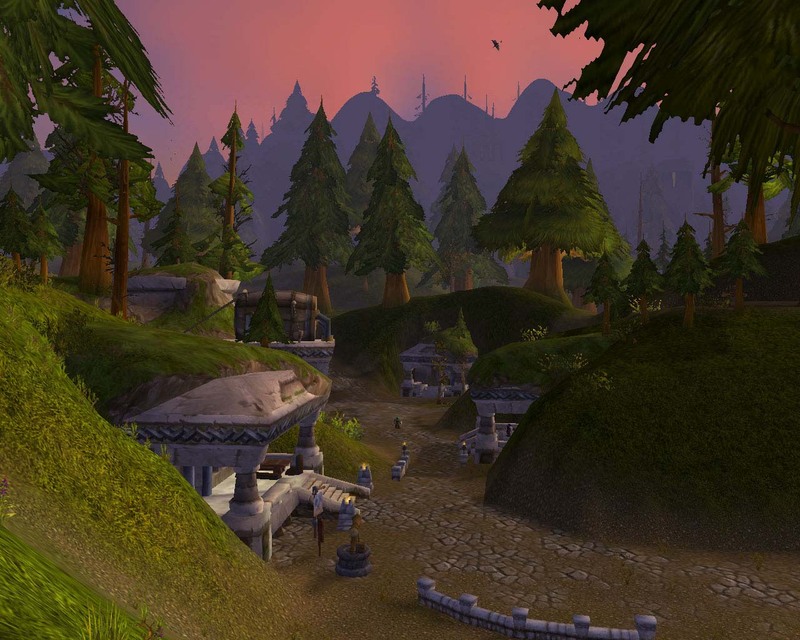 The Hinterlands is one of those zones I really hope they develop a bit more come Cataclysm. 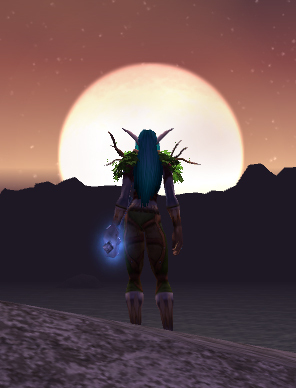 It has some really beautiful spots and yet you hardly ever meet anyone questing there. Otherwise known as “Ghostcrawler never promised you a rose garden”. I beg your pardon, speculation is fun. So partly because it’s fun and partly so in a year’s time I can see just how wrong I called it, I’m going to go through the new healer spells and tricks we’ve seen revealed or hinted at so far to see how many (wrong) conclusions I can draw. This isn’t particularly exciting. Although you can’t help wondering whether in a few more expansions, just like A & W Canada with their family burger line: we’ll have a Grandpa heal, a Daddy heal, a Mummy heal and so on all the away down to Baby heal. My favourite new Shaman ability has to be the wonderfully named Healing Rain. As the song goes “There’s gotta be a little rain sometimes” and now its coming straight to raid near you. Now that Blizzard have stated so many times I’ve lost count that they want us to be concerned about mana, I can only foresee the return of the set in stone healing assignment. No more will we have the heady days of Ulduar and ToC when you healed whoever you felt like (unless you were a holy paladin) and whoever had the fastest reactions topped the epeen metre. So Healing Rain coupled with Chain Heal could again see Resto Shamans as kings of melee. It will be interesting to see what kind of radius the selected area has, if its too small the spell could be situational to the point of being useless. If that’s true though I’m sure the graphic and the spell icon will be awesome to compensate. Not being able to move and heal well has always annoyed me when I’m playing my shaman, so I’m rather fond of this. Although it’s duration/cooldown don’t give you anything close to the freedom of movement say a druid does. As for PvP, I love anything that allows healing myself whilst running away. I rather like the idea behind this and the resto druid mastery, which in theory would be to allow people’s health to drop as far as possible before healing them to maximise your returns. I’m just not sure in practise it will work, I think people are too used to WotLK’s react, react, react style of healing. Although if mana needs watching as closely as Blizzard claims it will, then perhaps we will have no choice in the matter. Tree of Life is getting a whole new model (think Ancients of War) and will also “morph” some of your spells to do crazy things while in the form, such as cause Regrowth to be instant, or Lifebloom to apply two applications at once. I have my doubts about the whole Ancients of War thing, mainly because I don’t see the existing models scaling down well and I really don’t want to be a huge tree in PvP. Unless we get some kind of AoE warstomp thing which stuns all enemies in a 100 yard radius which might be classed as a tad overpowered by everyone who isn’t a druid. Althought, “I would give you the world right now on a silver platter“, if I thought that would secure it. 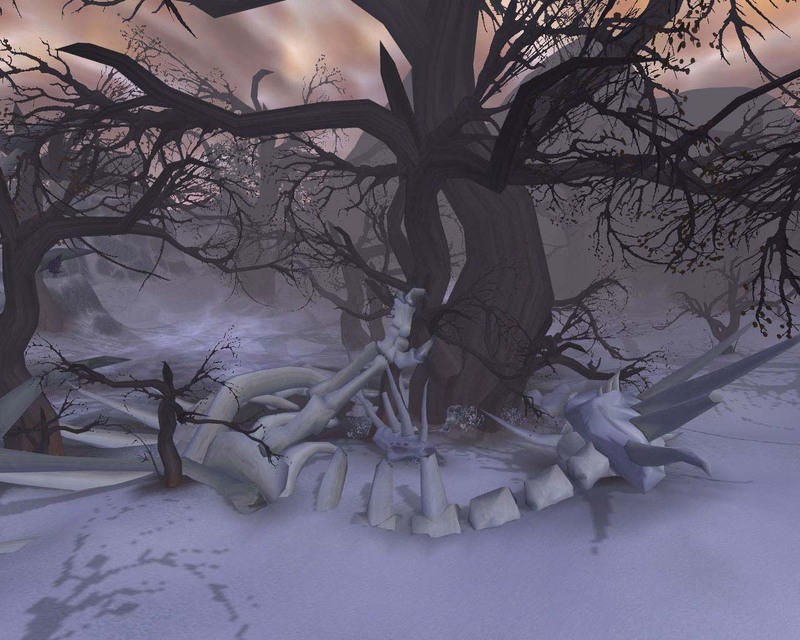 Also the Ancients have really bad teeth like male Nightelves… which is off-putting. Depending on how long this mutant treeform lasts though I like the ideas mentioned so far, especially instant regrowth because I’ve been overly fond of that spell since Vanilla. I’ve never been attached to that hunk of dead wood which is currently known as Treeform. The cower and sleep animations had me briefly and I admit that levitated trees with wriggling roots are cute but I never bonded. It just never fit my playstyle in PvP as I hated being locked out of certain abilities like cyclone, roots,hibernate and moonfire. I loved my resto druid in Vanilla when all PvP required a full toolbox, from feral charge to hots and having that flexibility taken away always bothered me because I rolled a druid for that dynamic playstyle. I’m secretly hoping they make feral charge either lower down the tree or baseline this expansion. The picture is of my first druid, now languishing at lv 72 because Tansy overtook her and stole her place. Taken fairly early on in Vanilla, I think she’s sporting 5 pieces of the Cenarion set (got them all in one Molten Core run) and the weapon from winning Alterac Valley. “I never promised you a rose garden“, but you’re getting Efflorescence instead. According to Wikipedia, Efflorescence means “to flower out” in French as well as being something bad which can happen to brick work. Would be cool if we could knock down walls with our flower beds, make the walls of Wintergrasp crumble before our floral might… unlikely though. So by the sound of it, we are getting another hot on top of an hot. Pretty please be an aoe hot that heals everyone standing inside the flowers, it would be even better if triffid-like tendrils sprouted out and pulled fire hugging dpsers into the flower bed. Tranquility will always be raid wide, just because the concept of a “group” within the raid is kind of a strange one. Yay. Hope they keep the same graphic though. Given what they have said about Mana concerns, I like this or at least I think I do. More people are likely to be at low health longer because they can’t be spam healed up which makes hots more powerful than they currently are in today’s zergfest healing. Of course, it’s usefulness all relies on Blizzard keeping their word about mana being an issue. The second people can spam away happily, our mastery loses a great deal of it’s potency. Also I know it’s not a resto ability, but I’m excited about the Magic Mushrooms. “But you don’t find roses growin’ on stalks of clover.” You don’t find heals growing on invisible mushrooms either, but I’m sure there will be lots of fun applictions for them. With my most heartfelt apologises to Joe South for borrowing his song. Our Druids have been 80 for just over two weeks now. They both have a full set of PvP gear and the random battleground always equals Strand of the Ancients so we needed to find something else to occupy our time. The call of the Alt with it’s lilting tempting tune is never far away and so once again we succumbed. As I’m fast running out of character slots on our home server, I picked up my long abandoned gnome warrior and the Gnomeling made another hunter. This time it’s a Draenei, named in tribute for the song currently stuck in his head. 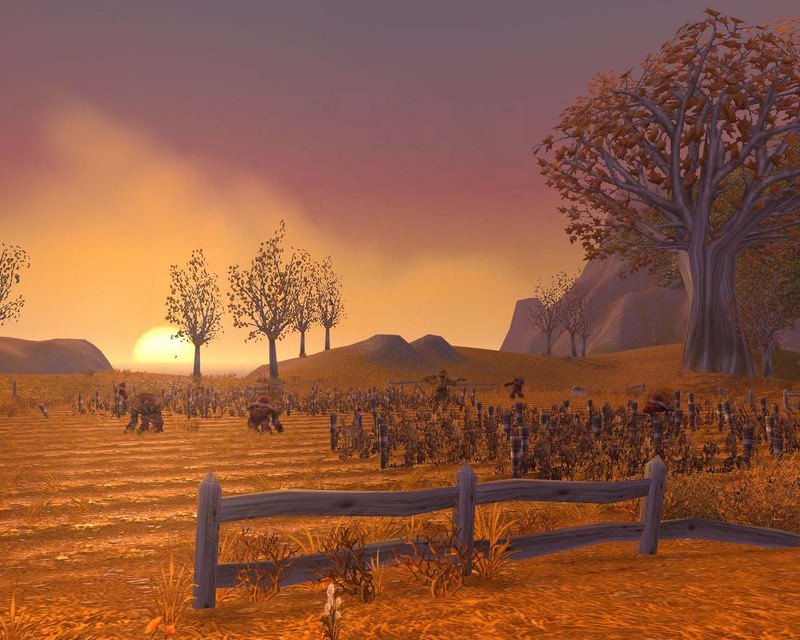 Westfall has always been one of my favourite zones. It mixes of the Children of the Corn territory with amazing skies and ignoring the rampaging robots, a sense of tranquillity. Every day is harvest, every day is autumnal. You can almost smell the pumpkin pie baking, the smell carried on the crisp evening air. Old Blanchy, Azeroth's most well travelled and Iconic Horse. I really hope that one of these days Blanchy gets to retire somewhere with all the sweet green grass she can eat. 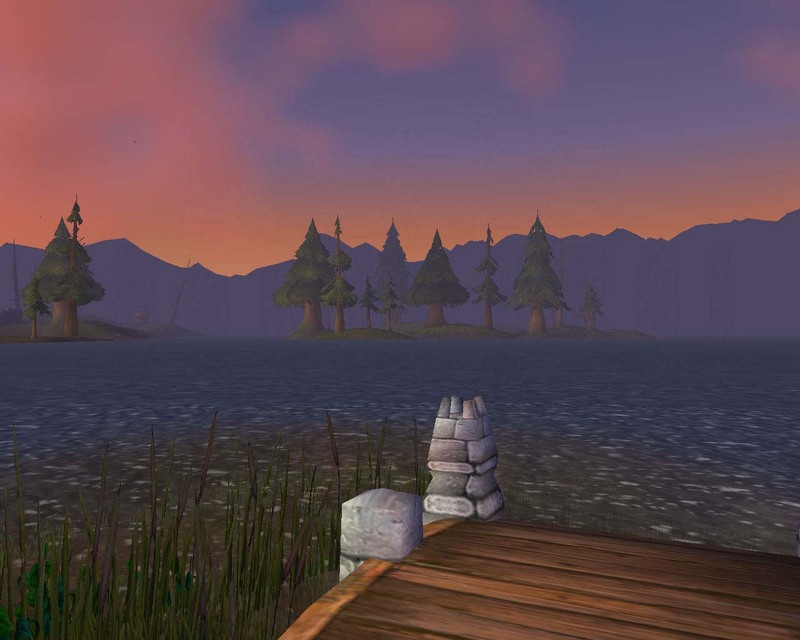 The light is amazing here, you can imagine Azeroth’s artists all flocking to paint the mellow sunsets as well as sample the world famous Westfall stew. 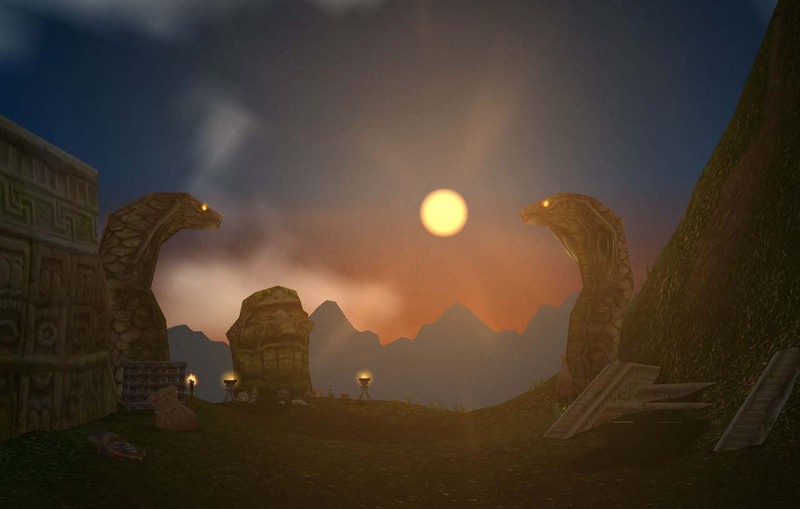 As the sun sets, Westfall is paved with gold. Then as the skies darken, you get those wonderful midnight blues with a tiny sprinkling of stars glistening over head. Harvest Moon lighting up the dusk and lighting the way home for weary travellers. Within this rural idyll though something evil lurks. A darkness which makes a couple of Old Gods look like fluffy bunny rabbits… beware, beware the rise of the Tattiebogle for he comes for YOU! 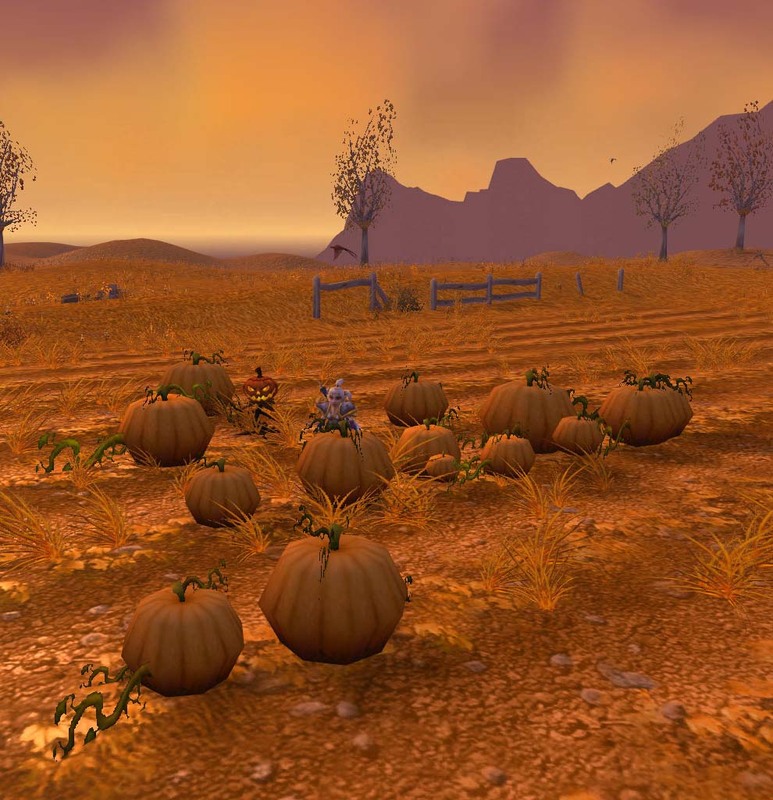 World PvP – ganking or vanilla PvP? What is world PvP anyway? To me, world PvP was always about large groups of people coming together somewhere in the world to fight. It could be anywhere from an Island off Azshara to a patch of grassland out side of Crossroads. However, regardless of location, it was the only reason both parties were there. As for ganking, that’s what 80 rogues steathing around Nesingwary’s do. A new guild have recently transferred to my server, claiming they are bringing back world PvP to the masses. I must admit when I read their first few forum posts I was vaguely excited, imagining massive battles over Halaa, Southshore and the like. After all in vanilla I had lots of fun fighting over Southshore/Tarren Mill and visiting Crossroads. There was a real sense of community between both sides and often when the fighting was over, we would have parties with naked fist fighting competitions and picnics. 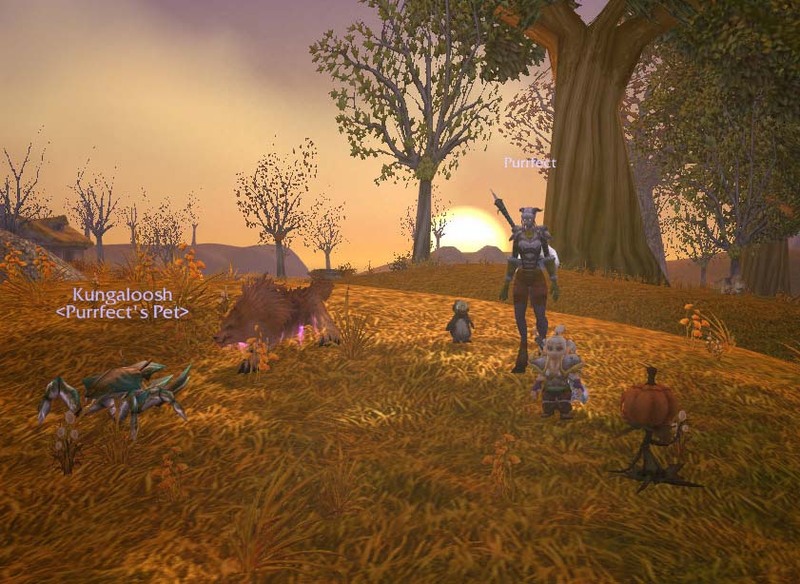 However that was a long time ago, a time before battlegrounds and arenas. If you wanted any form of PvP, you had to go hunting for people to fight and so you met lots of like minded people. Now things have changed, if I want PvP we (as Alliance) have close to instant battleground queues. This guild have been with us for a few weeks now and the scope of the world PvP they offer? Invading our cities and killing auctioneers. Not one single event has been organised or even mentioned. So they bring their raid group of 25ish complete with healers and set up home in the Stormwind Auction House. The majority of people just don’t care so they sit there PvP disabled. The people wanting to use the Auction House just naturally drift elsewhere, whether its using engineering alts in Dalaran or hanging out in deserted Darnassus. Sometimes they visit the Mage quarters in our various cities and kill people portaling in, of course you’re dead before the loading screen fades. 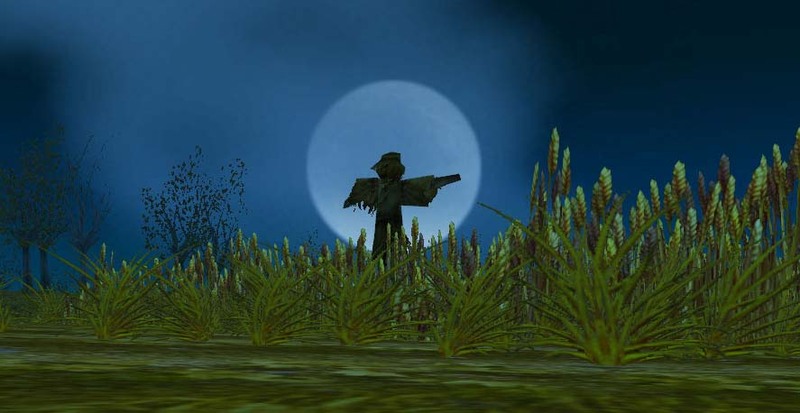 One shotting low levels who hearthstoned from PvP zones seems to be another favourite hobby of theirs. All of this they claim is a great success. As soon as we manage to mobilise a decent defence, i.e. people who aren’t one by one loading into a city, or 2 going up against 30, we manage to kick them out but that takes time. There is no incentive for people to defend their cities so the majority don’t enable. So there you are, a ragtag handful of idiots, usually not in the same party attempting to go up against a raid complete with healers. Maybe I have weird idealistic principles but to me, world PvP was always about consent. Both raid groups wanted to be there, they were there for that sole purpose. Ganking on the other hand, implies a lack of consent. If my druid is stealthing around and I see someone doing their dailies, happily killing mobs and I pounce, I gank. I’ve never believed the argument about rolling on PvP servers being consent enough, it’s like saying if I wear a mini skirt I’m asking for it. There are plenty of factors why people who don’t necessarily like PvP end up calling a PvP server home, whether it’s guilds, friends or just picked at random. I also think the last two expansions have given people a false sense of security. We share our cities with the Horde, both factions can share tables in the Legerdemain Lounge or sunbathe on the wall at the landing together. That hardly implies bitter enemies. Don’t get me wrong, I gank. I know I do, I don’t sugar coat it in any way. I have great fun killing people in amusing ways, parachuting past Horde sitting on their flying mounts and showing them some squawk and awe or sneaking up on them when they are grinding. I just don’t like the principle of ganking whilst claiming it’s something better. I can understand what they are trying to do, but encouraging people to fight by killing the auctioneers over and over and over again or by killing them as they are loading in, 25 v 1 to me removes the consensual element. I would think by now, if they actually tried to organise a world event the majority of the Alliance wouldn’t show up because most of the server seems hate them. When you add into the mix the fact that these same people are equally fond of name-calling on the forums and you basically have the biggest turn off from world PvP I’ve ever seen. When we beat them, we always had three times their numbers (I wish), we’re skilless (possibly), we’re cowards (nope, going one or two versus an organised raid group isn’t a sign of cowardice, insanity perhaps) and so on. As far as I’m concerned they are little more than bullies, having tantrums and throwing their toys out of the pram. Plus any fun you could have, with the tide of battle going backwards and forwards just doesn’t happen with this bunch because as soon as they die, they either take res- sickness or all dive through portals or wait as a ghost until they get battlegrounds. For example, a deathknight looking to “world PvP” in the portal room at VoA whilst we controlled it. The Gnomeling attacks him one v one, no guards, no other players and as soon as it starts going bad he leaps through the portal. One v one versus another deathknight in Ironforge, he dies and doesn’t res. Seven minutes later he pops up and instantly disappears into a battleground (I stalked him on the Horde side). I just don’t understand why people who claim to be after world PvP, run away so quickly when we give them what they want. Could it possibly be because they don’t want world PvP at all, they just want easy ganking? I’m not complaining about their actions, I just wish they would stop pretending to be after one thing, when its clear they just want to grief and gank. We maybe die 10 or 20 times, outnumbered and zerged but we don’t slink away and res in a corner. We keep fighting after all world PvP has always involved dying a lot, but you kill this lot any more than a couple of times and they are off, portaling, hearthstoning and taking res sickness. 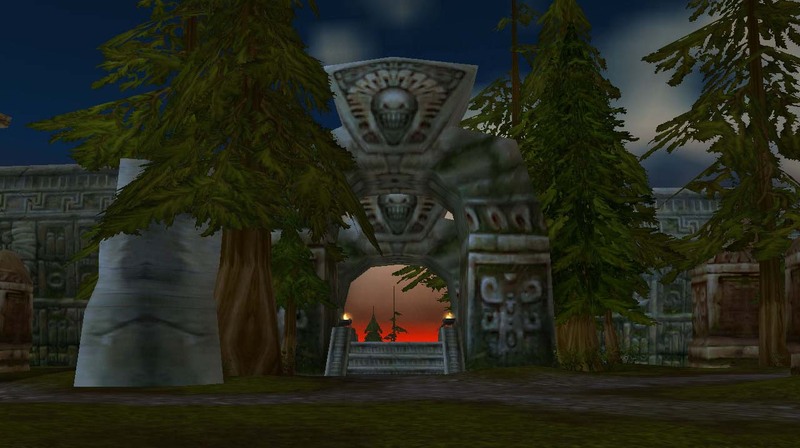 These world PvP heroes even prefer entering battlegrounds to escape, yet their whole premise is based around returning to the halcyon days of vanilla WoW pre-battlegrounds. 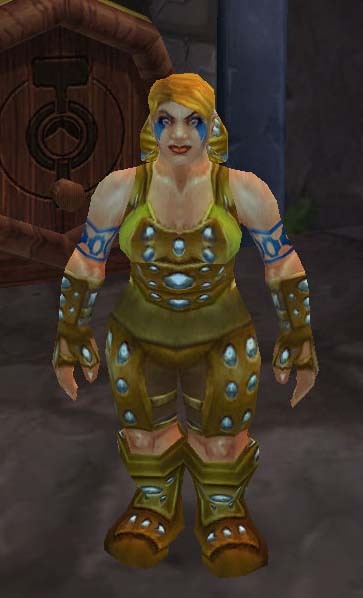 I really wish Blizzard would make the city guards lv 80 and more like the ones at the Isle of Quel’danas, so they actually present an issue to people wandering in. Cataclysm is going to be fun. The skeleton of a dragon wrapped around a tree. Sure, the bleached bone contrasts well with the dark wood of the tree and it makes for a pretty screenshot but look closer. Inside the bones of the big dragon lie those of a much smaller one. Perhaps she was pregnant or just trying to keep her young safe and warm when she died. From this angle you can see the tiny claw of the baby dragon nestled in amongst the bigger dragon’s remains. There are two distinct skulls as well, one considerably smaller than the other. That’s it. My dragonslaying boots are hung up. I’m not tracking any peaceful family orientated dragons back to their lair and slaughtering them. Never again. Well, not until Cataclysm anyway.